Raaga.com: SS Rajamouli’s BAAHUBALI inspires India’s premier Vellore Institute of Technology! 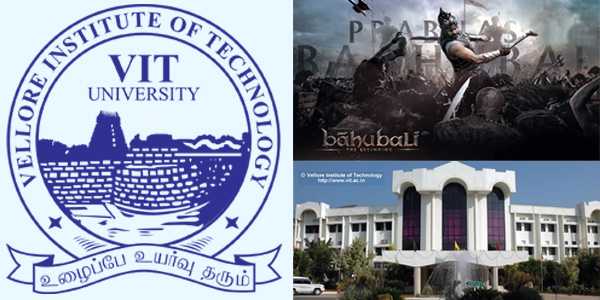 SS Rajamouli’s BAAHUBALI inspires India’s premier Vellore Institute of Technology! It may come as a stunner that a film could inspire a premium technical institute as prestigious as Vellore Institute of Technology Engineering (VITE) but it is true that SS Rajamouli’s BAAHUBALI has done the impossible. According to reports a professor from VITE has been so impressed by the extravagant sets of SS Rajamouli’s BAAHUBALI that he dared to ask a question related to the sets in the movie for the civil engineering students in the internal examination of the premium institute. “The question paper provided diagrams that depicted a rough sketch of the movie set explaining from where the hero would jump during the different frames. Students had to use their skills and answer,” quipped. It may be noted like BAAHUBALI, several movies have been used as study material in education like Zoya Akhtar's ZINDAGI NA MILEGI DOBARA, which was shot in Spain, has been included as a case study for a course in marketing management there. The early 70’s cult classic GARAM HAWA directed by M. S. Sathyu is taught as syllabus for Bachelor of Mass Media (B.M.M.) students in Mumbai University. Besides at the University of Lowa in USA; a graduate course is conducted that studies popular Indian cinema that includes films LIKE AWARA, MOTHER INDIA, DEEWAAR, DILWALE DULHANIA LE JAYENGE etc.